I'm thinking I'm going to have to read Like Water For Chocolate. It's just too weird sounding to ignore. It's weird, all right. :) I enjoyed the craziness. I read both books but the Capote book is the one that stuck with me. Such bizarre images. The horse or was it a donkey? So strange. It was a mule. That jumped out at me because I remember someone talking about every good Southern book having a mule in it. So, when the mule showed up I thought, "Hey! Sure enough!" And, then, of course, he met with tragedy. Poor mule. You really make me want to reread Like Water for Chocolate!! Go for it, Les. It's a wild ride. I have not read either of these. One day! 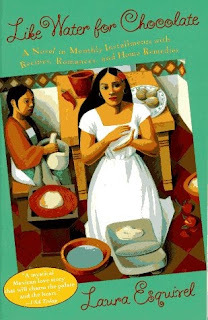 Like Water for Chocolate is a gorgeous movie, but I have not read the book. I guess I need to rectify that. And, I guess I should look up the movie. I've never seen it. You picked some great weird books for the #weirdathon. I kind of wish the #wierdathon would go on all year! 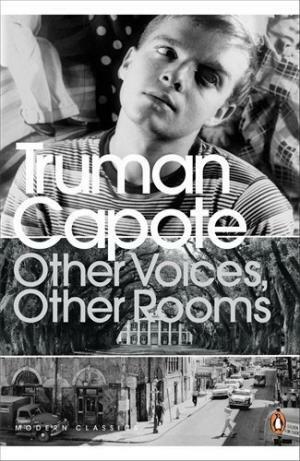 Truman Capote books are books I have always wanted to read. I'm surprised I haven't picked one up yet. Thanks! I've thought the same thing about how nice it would be for #weirdathon to continue. I may just make it a goal to read one weird book per month, just like I'm doing with classics. It's nice to mix things up. I don't know what I expected from Capote but I was impressed. One of our group members said he was only 17 when he wrote Other Voices, Other Rooms and 23 when it was published. It's an impressive piece of work, regardless, but doubly impressive because of his youth. I hope you get to read him soon!